Esplanade - Theatres on the Bay is a performing arts centre for everyone with the mission of educating, engaging, entertaining, inspiring through their core business in the arts. 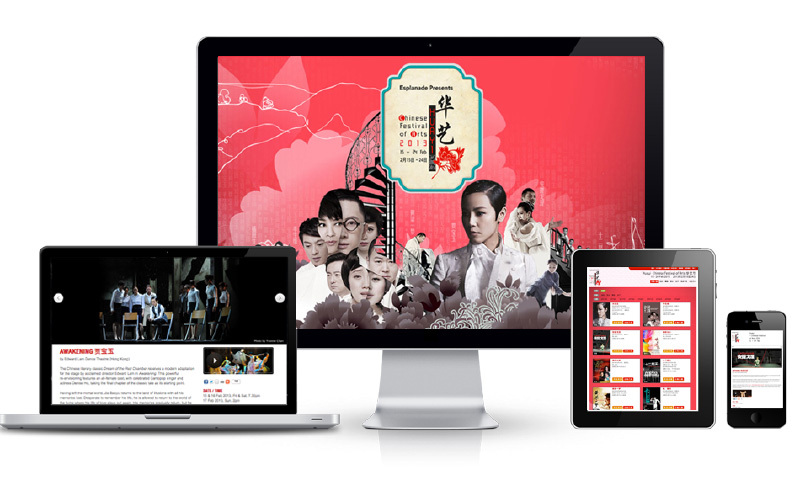 Huayi Festival is one of three cultural festivals at Esplanade that annually celebrates Singapore’s multi-cultural heritage. 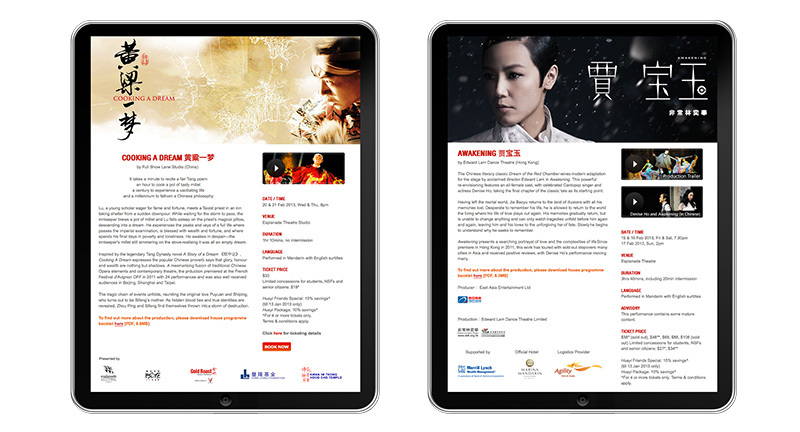 Through Huayi, our client wishes to showcase the works of Chinese performing artists from traditional, contemporary, mainstream and cutting-edge backgrounds through through the festival to the local and international audience. 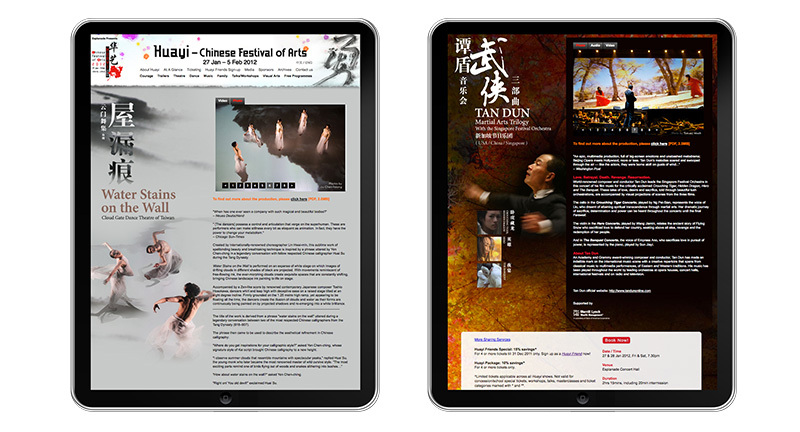 For the past 6 years, FreeWave Media has consistently delivered our works in meeting the stringent requirements and expectations of Esplanade in Huayi Festival website. 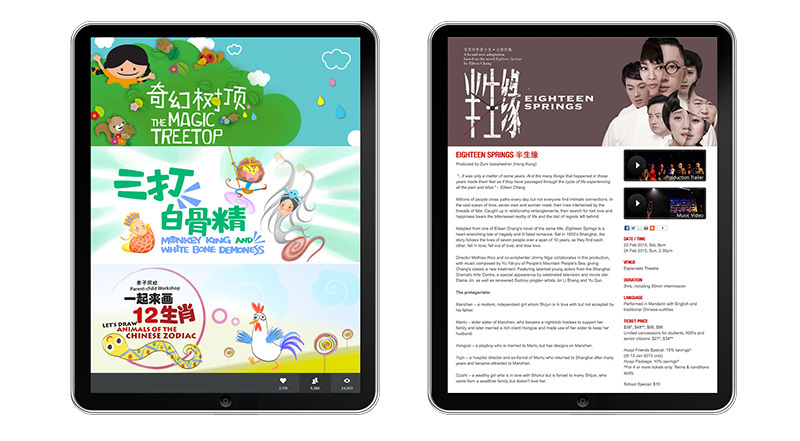 With total understanding of our customer’s desired design outcome we were able to infuse our design into their website, a distinct visual layout that enhances the cultural significance of the festival while providing a fully bilingual (English and Mandarin) website capable of handling the needs of both English and Mandarin speaking users. 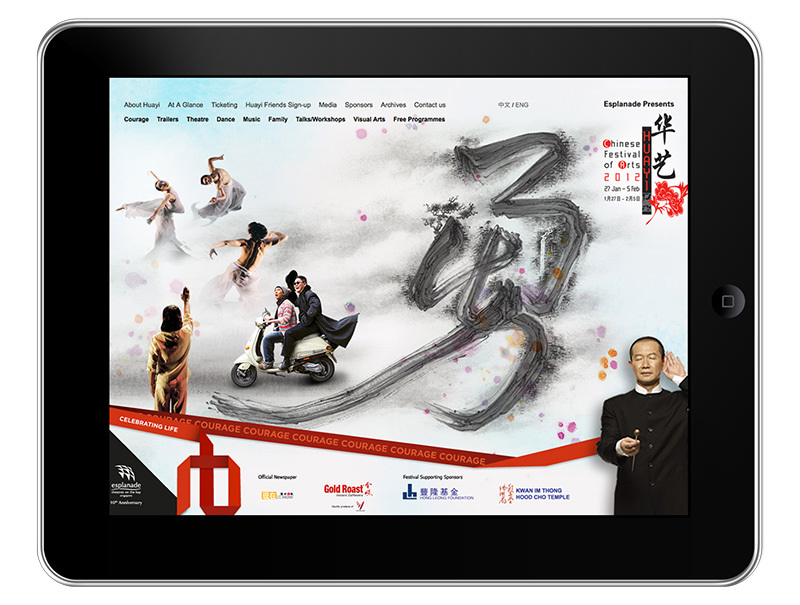 In our effort to value-add the Huagi Festival website in terms of greater awareness and interest, we added trailer screening capabilities; poster display and man page showcases amongst the many other fine-tuned improvement features to improve users’ experience.